B-movies and busting ghosts in Texas. I was honored when Brandie asked me to share my first movie-going experience. She knows my love for classic films. However, as I thought about it, I became a touch nervous as well, because I realized I wasn’t actually sure what my first memory was! Growing up, my family and I didn’t go out to the movies much. We were more of a “go-out-to-eat” set (which could explain my love for food and going out to dinner!). I remember watching the black-and-white, crazy sci-fi movies that ran on the TV’s second dial every Saturday afternoon with my mom. 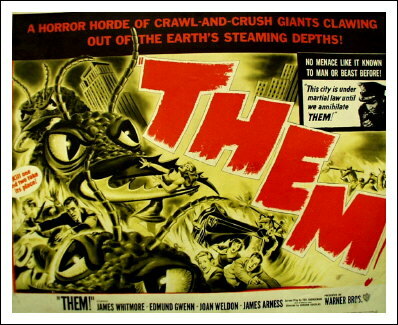 You may know the movies I’m talking about … giant something (insert ants, spiders, grasshoppers, ooze, etc. here) invades the town. Town pulls together and kills the giant whatever. Sometimes a hero rides in to help kill the giant whatever. But either way we’re talking dead, giant … whatever. Mom loved those movies. At least, I think she did seeing as how we watched them every weekend afternoon. Remembering my first “leave-the-house-and-go-see-a-movie” experience is trickier to recall. Two memories stand out in my mind, and because I don’t want to decide between them, I’m sharing them both! The very first memory is so long ago and blurred that it may not even be true anymore. I was five years old, and we saw Airplane! (1980) at the drive-in theatre. It was my parents, an aunt and uncle, and me, all in the bed of Dad’s big, green Dodge. There may have been other relatives there, but I can’t recall. Hell, we may have even been watching a different movie altogether. I do remember all of us piled in the bed of Dad’s truck with a giant screen in front of us, some in lawn chairs, and others, including myself, seated directly on the bed of the truck. And, being five, what I really remember is my Aunt Wanda introducing me to the beauty that is popcorn and M&M’s. For anyone who knows me, my first movie memory being more about the food than the actual film will come as no surprise. And let me tell you, if you’ve never had popcorn and M&M’s mixed together, go try it right now. It’s a beautiful, salty, sweet, melty, crunchy experience that isn’t to be missed. The other first–though I know I went to see E.T. (1982) at some point between the two–is strong because I was totally taken by surprise. One day after school, I walked out to find Mom greeting me instead of my grandmother. Mom was normally still at work when I finished with school, so it didn’t make any sense. I asked her what was going on and she said she was taking me to the movies. 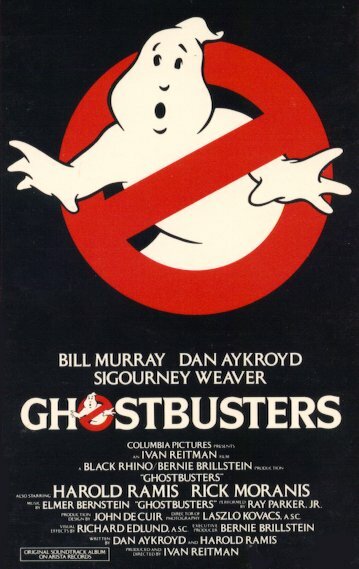 We went and saw Ghostbusters (1984) together and loved it. Afterwards, she told me that she took the day off from work and went to an earlier showing first just to make sure it wouldn’t scare me. At nine years old, the idea of watching a movie multiple times seemed like a foreign concept to me, and I thought it was really cool that Mom would watch the same movie twice in one day just to make sure I would like it. Even now as I think back, that’s still pretty cool. And the popcorn and M&M’s combo has never gone out of style. A former professional ballroom dancer and event planner, Melinda Massie, 36, is the owner of Organizing with a Side of Fabulous in Fort Worth, Texas. 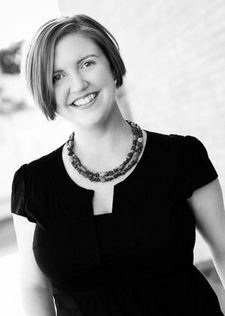 In 2011, she was recognized as the city’s “Best Personal Organizer” by Fort Worth, Texas magazine, and her company was voted as “Most Glamorous” in StartupNation’s 2011 Home-Based 100 competition. She blogs about all things organizing (and shares delicious recipes!) on the Organizing with a Side of Fabulous blog. Movie Memories: Hound Dogs and Lions and Space Clones, Oh, My! Movie memories: Selections from the diary of a Mississippi girl, 1936. A budding cinephile in 1960s New York City. Thanks for sharing. It is difficult to remember the first movie you went to see. Perhaps this topic should be first movie experience that I can remember and talk about! Great post! I’ve never tried popcorn and M&M’s, but I am going to try it the next chance I get! Thanks y’all! In a strange play of fate, I was flipping through the channels on Saturday and there were TWO deliciously awful sci-fi flicks playing on IFC! Looks like they’re doing that regularly now. I was so excited I called my mom to tell her. Pingback: Remembering your introduction to movies « Carole & Co.